"As you may or may not have been aware today marks the 30th anniversary of the opening of the Athenaeum. Thus, I thought it might be appropriate to tell you all a little bit about the history of this place. 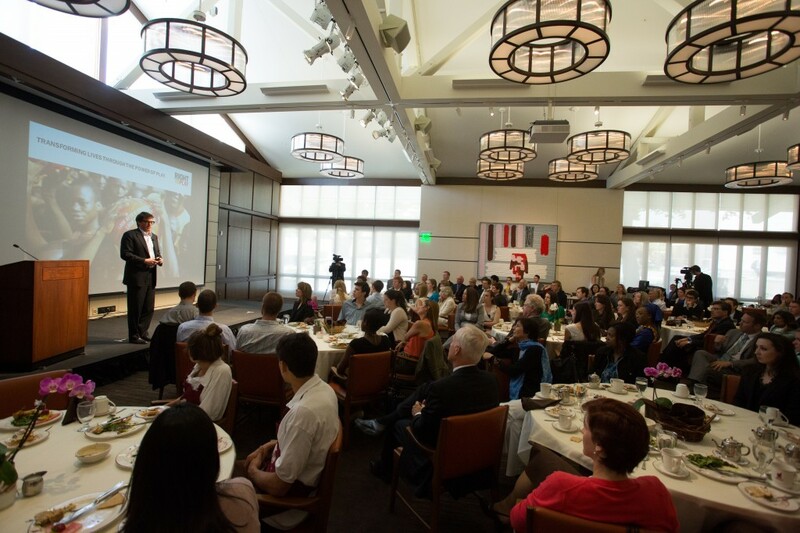 For thirty years, the Athenaeum has been an integral component of Claremont McKenna College, increasing its academic stature and providing a space for the leaders of tomorrow to engage with the leaders today—in formal attire, of course. Yet, to truly understand the impact of Athenaeum, we need to return to its origin, when in the winter of 1968, Donald McKenna sat down at his home in South Laguna and penned a brief memorandum recommending “a student-faculty club or athenaeum” for the still nascent Claremont Men’s College. The idea originated as a combination between an evening social and a lecture series. The memorandum suggested a unique approach to education by bridging the gap between the late-night dormitory discussion and the classroom environment. It was to be reminiscent of the ancient Roman academy or a 19th century London club. Donald McKenna selected the name of this new institution for several reasons despite his initial concern that the Athenaeum was “too highfalutin and not as warm as the term Faculty-Student Club or Student-Faculty Club.” McKenna wanted the name to evoke both an academic and personal environment. He noted that the Athenaeum of Ancient Rome was a school of oratory, philosophy, jurisprudence, and poetry founded by Hadrian in the 5th century and that the Athenaeum was also the name of a London literary club founded in 1823. Thus, the name perfectly captured his desire for a blend between the social and academic. It took 15 years for that initial dream to be realized into this same building. Yet, I think we can agree 30 years later that writing that memo was an afternoon well-spent for Donald McKenna. Over the past 30 years, we have welcomed hundreds of speakers to the Athenaeum from politicians of the highest order like Bill Clinton and Mitt Romney to musicians of every genre to mathematicians to professors of every discipline to esteemed authors and speechwriters. This year will be no different. And so, I will leave you with this inheritance, and I would be remiss if I didn’t throw in a challenge to take advantage of the Athenaeum. President Chodosh in his convocation address challenged us to live without constraints, which means in part, that we need to rid ourselves of prejudice. I would argue that the Athenaeum plays a vital role in that mission and I would encourage each of you to embrace it in your own way. Let Zadie Smith challenge your notion of the literary novel or Nate Silver convince you that political punditry is a lot less accurate than you may believe. Show up to a talk that you know nothing about and let that experience transform you. I can’t guarantee that it will be a transformational experience. But I can guarantee that the only way you will find out, is if you show up and you are ready to listen."